Matthew 12:1-5 is listed as one of the reference passages to read for today’s lesson. This is interesting, because here Jesus specifically shows that the temple laws were broken by David and his men, when they ate the showbread, breaking the Law, and how the priests “profaned” the Sabbath yet remained guiltless. The primary point that Christ is putting forth here is that the breaking of the Law does not always bring the consequences that are called for by Scripture. Here, the lesson goes into a discussion of the Sabbath vs. Sunday observance. Today we are confronted not only with the challenge of “correct observance” of the Sabbath but also with the popular belief that Sunday, not Sabbath, is the day of rest. It is not a popular belief that Sunday is “the day of rest.” In some Reformed circles within Christianity, they believe that Sabbath sacredness has been transferred to Sunday, but by far the most popular belief is that Sunday is simply another day of the week; a day on which the believer may perform manual labor, go to work, go shopping or any number of things that are prohibited under the old covenant Law. It is a false dichotomy to state that “Sunday keepers” are pushing for the keeping of Sunday in the same manner or degree to which Adventists push for the keeping of the seventh-day Sabbath. This is only taught in Adventism; it is not taught by those attending church on Sunday. Those pushing for Sunday, however, have nothing in their favor in the Gospels. The Sabbath controversies in the Gospels dealt only with how the Sabbath was to be kept, never with when. Jesus’ life and teachings leave no doubt that the seventh-day Sabbath would continue as God’s day of rest, even after His death and resurrection. Since believers are the priests of God’s kingdom, we may profane the seventh-day Sabbath and yet remain guiltless, just as the priests under the old covenant profaned, yet were guiltless. "Have you not read what David did when he was hungry, and those who were with him: 4 how he entered the house of God and ate the bread of the Presence, which it was not lawful for him to eat nor for those who were with him, but only for the priests? 5 Or have you not read in the Law how on the Sabbath the priests in the temple profane the Sabbath and are guiltless? 6 I tell you, something greater than the temple is here. 7 And if you had known what this means, 'I desire mercy, and not sacrifice,' you would not have condemned the guiltless. 8 For the Son of Man is lord of the Sabbath." Jesus is Lord of the Sabbath; he came under the Law to save those who are under the Law from the condemnation of the Law. Actually, the Sabbath controversies were about breaking the Sabbath, not only with how the Sabbath was to be kept. The disciples who “harvested” and ate grain on the Sabbath day were guiltless, not because they were keeping the Sabbath correctly, but because Jesus is Lord of the Sabbath: in other words, Jesus is above the Sabbath law and is not condemned when breaking the Sabbath. But Jesus answered them, "My Father is working until now, and I am working." 18 This was why the Jews were seeking all the more to kill him, because not only was he breaking the Sabbath, but he was even calling God his own Father, making himself equal with God. Here we have a specific example of Jesus breaking the Sabbath, and it is stated as such by John. Jesus didn’t just break the Pharisaical laws, but the actual 4th commandment. Jesus was not only doing good on the Sabbath day, but working without being guilty of profaning the Sabbath. Within Adventism there is much speculation about “Sunday-keepers” without any foundation. The vast majority of “Sunday-keepers” do not “keep” Sunday, nor treat it like the seventh-day Sabbath as it is kept in Adventism. If the Sabbath is to be kept as the “seal of God” by end-time believers, why is the New Testament silent about any commandments regarding Sabbath observance? The 1st through 3rd and the 5th through 10th commandments are found in the New Testament, but not the 4th. If it is such an important part of Christian practice, one of the New Testament writers should have at least mentioned it, but it is not listed anywhere in the New Testament as a day to be kept. The Aaronic priests broke the Sabbath yet were guiltless. As New Testament Christians, we are also free from guilt when we break the Sabbath commandment. Jesus worked and his Father worked on the Sabbath day. It is a false dichotomy to set “Sunday-keepers” against “Sabbath-keepers”. Sunday-keepers do not teach the keeping of Sunday in the same manner or degree that Adventists teach the keeping of the Sabbath. According to John (Jn. 5:18), Jesus broke the Sabbath commandment. There is no New Testament teaching on the keeping of the Sabbath as “the seal of God” for end-time believers. 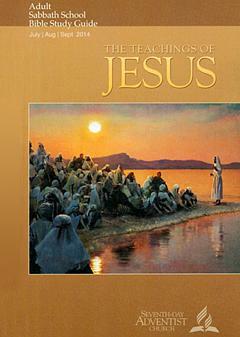 The author begins today’s study with a question and three Scripture references. Why is this [Jesus’ role in creation] so important, especially when considering the origin of the Sabbath? See John 1:1–3; Col. 1:16; Heb. 1:1, 2. After finishing Creation, He Himself rested on the seventh day, not because of tiredness but in order to bless and sanctify the Sabbath and give us an example to follow. And He also rested on Sabbath when He finished our Redemption on the cross, not because He needed it but in order to (among other things) confirm the perpetual value of the Sabbath. This is not a case of a misplaced comma. There was no such punctuation in the Greek; it literally read, “Truly I say to you today you will be with me in Paradise” (no commas). Sabbath keeping ties us to the beginning of earth’s creation, to the very foundation of our existence. The keeping of the Sabbath was to be a reminder to the Jews that they were once slaves in Egypt, but were delivered by God. The Sabbath of creation was not a day, as the first six days of the week were. There was no “morning and evening, the seventh day.” God ceased from his creative work, and continues to have ceased from his creation. While Jesus’ body lay in the tomb, he was not “confirm[ing] the perpetual value of the Sabbath,” he was in paradise with his Father. Sabbath does not tie us to the creation week; it reminds Jews of their deliverance from Egypt as stated in Deut. 5:15. There was no “evening and morning, the seventh day” when God ceased from his creative work. It has been an ongoing experience of God ceasing from his first work, and entering upon a new work with mankind when Adam and Eve fell. Although the distinction between civil, ceremonial and moral laws helps us in determining the proper use for the Law, the fact that David and his men ate the showbread does not mean it was permissible violation of a “ceremonial” rule. In the New Testament, whenever Law is mentioned, the author is referring to the entire Mosaic law, including the ten commandments. They still broke the Law, and we know that if you break one law, you are guilty of breaking the entire Law. Here, in James, there is no distinction between one type of law or another, but the entire Law is being referred to in this verse. Christ ratified His status as Creator and Legislator of the Sabbath. Therefore, He alone had the authority to free the Sabbath from these man-made laws. He also has the authority to lay aside the Law, and free mankind from the burden of Law keeping. …the Sabbath was created to benefit human beings and continues as a God-given gift at the service of humanity, instead of humanity at the service of the Sabbath. The way Sabbath is practiced in Adventism indicates that man was created for the Sabbath. The Sabbath is taught as an eternal truth; believers will keep the Sabbath forward to eternity. The Sabbath is a burden, preparations for the Sabbath are a burden, keeping your children from breaking the Sabbath is a burden. The Law was given to Israel as a burdensome system that pointed forward to the coming of the Messiah, and the freedom he would bring from the burden of the Law. What message should we all take from this about the dangers of spiritual blindness among those who should know better? Spiritual blindness is a direct result of reading and teaching the Mosaic Law as righteous behavior. The keeping of the Law should do one thing: lead you to the Messiah in whom the entire Law has been set aside, and who can redeem you from the curse of the Law. But their minds were hardened. For to this day, when they read the old covenant, that same veil remains unlifted, because only through Christ is it taken away. 15 Yes, to this day whenever Moses is read a veil lies over their hearts. Now if the ministry of death, carved in letters on stone, came with such glory that the Israelites could not gaze at Moses' face because of its glory, which was being brought to an end … 9 For if there was glory in the ministry of condemnation, the ministry of righteousness must far exceed it in glory. Christians live under the New Covenant, the Old Covenant has passed away and has been put out of the way of the believer coming boldly before God. The Law, as used in the New Testament, refers to the entire Mosaic system of law-keeping. See James 2:10. Only Jesus had the authority to lay aside the Law and bring us into a New Covenant with him, freeing us from the burden of law-keeping. The heavenly host cannot experience the seventh-day Sabbath, as one must be on the Earth to truly experience the period from evening to evening. Spiritual blindness is a direct result of reading and teaching the Mosaic Law as righteous behavior. The Law is a ministry of death and condemnation. Read II Corinthians, chapter 3. What does Luke 4:16 tell us about Jesus’ attitude toward the Sabbath? Why is this so important for us today? See John 14:15, 1·Pet. 2:21. None of these Scriptures tell us about Jesus’ attitude, Luke 4:16 simply confirms that it was his custom to attend synagogue on the Sabbath day. Scripture only gives us two references that show us what Jesus’ attitude about the Sabbath was. When Jesus declared that the Sabbath was made for man, and when Jesus defended his disciples from the accusations of the Pharisees for “reaping” on the Sabbath do we find any indication of Jesus’ attitude toward the Sabbath day. His example as an observer of the Sabbath is a model for Christians to follow, in both time and manner of observance. We also have the example of Jesus “fasting” yet fasting is not presented to us as an example to follow; certainly not a doctrine to proclaim as a part of the Gospel message. Appropriately, Jesus chose the day of rest, the Sabbath, to announce His ministry of redemption, liberation, and healing. Truly, we find rest in Jesus, a rest expressed in a tangible way every Sabbath day. Being a synagogue-attending Jew, Jesus wouldn’t have been able to choose another day to declare before the people his ministry of redemption. Of course he would declare such a thing on the Sabbath, since he was the one reading from Isaiah, while attending synagogue on the Sabbath day. The people congregated on the Sabbath so it only makes sense that Jesus would make this declaration on a Sabbath. Truly, we find rest in Jesus, a rest expressed in a tangible way every Sabbath day. Jesus said, “Come to me, all who labor and are heavy laden and I shall give you rest.” (Mt. 11:28) We are to find our eternal rest in Jesus every moment of every day; it isn’t something that we experience once a week as prescribed by the Adventist Church. The rest we experience is that of having our spiritual burdens lifted from our backs and enjoying the freedom that we have received through Jesus’ death and resurrection. This is true rest, resting in Jesus’ accomplished work on the cross and in his resurrection. A once-a-week experience is not what Jesus came to uphold as an example to the people. It is a lifetime of rest that begins the moment we are saved and continues throughout our lives; the rest we have in Christ never ceases and doesn’t just come on a specific day of the week. It was Jesus’ custom to attend synagogue on the Sabbath; this does not indicate that we are to keep the seventh-day Sabbath. As a Jew, we would expect him to join in congregation on the Sabbath day for worship and to declare his ministry to the world. We do not know Jesus’ attitude toward the Sabbath except that he worked on the Sabbath, just as his Father is also working. Christians are not called to rest once a week on the Sabbath day; we are to come to Jesus who is our rest, and find rest in him every moment of our lives. When it comes to the law, there are no gray areas. You are either keeping the Law or you are breaking it, something cannot be “more lawful” than another on the Sabbath day; either something is lawful or it is not. Jesus chose the Sabbath to do many of his miracles because it would greatly disturb the religious leaders of the day. Jesus is preparing to lay down his life, and he accelerated the process some by working on the Sabbath days. Jesus also stated: “ ‘My Father has been working until now, and I have been working’ ” (John 5:17, NKJV), referring to God’s work in favor of His creatures. Even on the Sabbath day He continues giving life and sustaining the universe (Heb. 1:2, 3). With God there is no Sabbath day; he is working, doing the same kind and amount of work that he does on any other day, giving life and sustaining the universe. Jesus heals on the Sabbath to not only show what is lawful on the Sabbath, but the fact that he has become our Sabbath rest. This rest is offered to all people at all times, not just the Jews on the Sabbath day. Keeping the Sabbath day is legalism, regardless of how well one keeps the day. It is an old covenant law that only finds its parallel in the new covenant salvation offered by Christ, through his shed blood on the cross. To keep it means to “rest” from our own works (Heb. 4:10) and, even more important, to stop trying to work our way to salvation—which is impossible anyway. This is not what is taught in Adventism. In Adventism, the Sabbath becomes the point on which all humanity divides. To keep it is to have the seal of God on the forehead, to break it and “keep Sunday” in its place is to have the mark of the beast on the right hand or on the forehead. The lesson author here is guilty of speaking one way about the Sabbath, yet remaining an Adventist which teaches the Law must be kept by the final generation of Christians to vindicate God and his government. In essence, we need the Pharisees today to help us interpret the prohibitions for the proper keeping of the Sabbath. Otherwise, without the help of the Holy Spirit (who can suggest proper Sabbath keeping in different ways for different people), we have no guide for proper Sabbath observance. Something cannot be “more” or “less” lawful than something else in regard to the Sabbath. You either keep the Sabbath or you don’t. There is no gray area allowed for in God’s Law. Jesus chose the Sabbath day to do many of his miracles knowing that it would greatly disturb the religious leaders of the day. The Father works and Jesus works. The nature and amount of their work does not allow for a Sabbath rest; they are performing the same work on any day as they do on the Sabbath day. The rest Jesus offers is for all people at all times, not just the Jews on the Sabbath. In the Adventist worldview, the keeping of the Sabbath is the point on which the world will divide. It, therefore, becomes a legalistic Sabbath-keeping by which God will vindicate himself and his government at the end of time. The Holy Spirit is the proper guide to the keeping of the Sabbath, yet he leads some to be more rigid while some are led to be more lax about the keeping of the Sabbath. What we really need are Pharisees to help us understand the prohibitions for the proper keeping of the Sabbath. In the end, Sabbath-keeping becomes a legalistic burden from which there is one escape, the rest of Jesus that he gives at salvation and thereafter in the life of a believer. For the disciples, going to the synagogue was what church attendance should be for us today: one of the best ways to observe the Sabbath. This is especially noticeable with the apostle Paul, who was present at the synagogue services on Sabbath when no Christian church was there. These texts provide powerful evidence that the early church knew nothing of the first day of the week as a replacement for the seventh. Only a very few Christians keep Sunday as the Sabbath. These are generally those of the Reformed churches. Most Christians do not keep Sunday as a replacement for Sabbath, we simply state that the legal requirement of keeping the Sabbath has been fulfilled in Christ. Now, any day can be a day of rest, resting in the completed work of Christ on the cross. If the Sabbath is so important, why is there no commandment found in the New Testament requiring Christians to keep the Sabbath? Other laws are repeated in the New Testament, yet the Sabbath lacks such support. Why is the keeping of the Sabbath of no consequence to the Gentile believers in the new Church? The keeping of the Sabbath cannot make Christians more “compassionate, loving, and caring.” This would be equivalent to saying that not committing murder, or not committing adultery makes Christians more compassionate, loving, and caring. The keeping of a law does not do that in the life of a Christian. It is the indwelling of the Holy Spirit upon conversion that softens a man’s heart making him more compassionate, loving, and caring. Messianic Jews would be keeping the Sabbath in 70AD, but the Gentile believers would not be keeping a day set apart from the other days of the week. Paul preached every day he could gather an audience. Sabbath was of no more importance when sharing the gospel than any other day. He preached in the hall of Tyrannus daily for two years. The early Christians met in house churches; they generally attended synagogue until they were kicked out for accepting Jesus as Messiah. The keeping of a law does not make a person more loving, compassionate and caring; the indwelling of the Holy Spirit is what softens a man’s heart. Then the Sabbath is a sign of Christ’s power to make us holy. And it is given to all whom Christ makes holy. As a sign of His sanctifying power, the Sabbath is given to all who through Christ become a part of the Israel of God.”—Ellen G. White, The Desire of Ages, pp. 288, 289. The keeping of a law does not make one holy, nor is it a “sign” of Christ’s sanctifying power. The Law was given to point out sin. It is the righteousness of Christ that makes one holy before God, and this is given as a free gift to whosoever would partake of it. The Law is a ministry of death and condemnation (See 2 Cor. 3) and as such has no way to make the keeper of the Law righteous. Also, from this statement, one does not become a part of the “Israel of God.” Israel still exists as a separate people on the face of the Earth and Gentiles do not become a part of that. God’s promises to Israel that are yet to be fulfilled will happen. Most Christians are Gentiles who are grafted into the vine, which is Christ, not Israel. Some of Israel is cut off from the vine, pruned because of the failure to come to Christ for salvation. Rather than read the suggestions from the Spirit of Prophecy, read 2 Cor. chapter 3 for a correct view of the Law and its purpose. Copyright 2014 BibleStudiesForAdventists.com. All rights reserved. Revised September 2, 2014. This website is published by Life Assurance Ministries, Camp Verde, Arizona, USA, the publisher of Proclamation! Magazine. Contact email: BibleStudiesForAdventists@gmail.com.